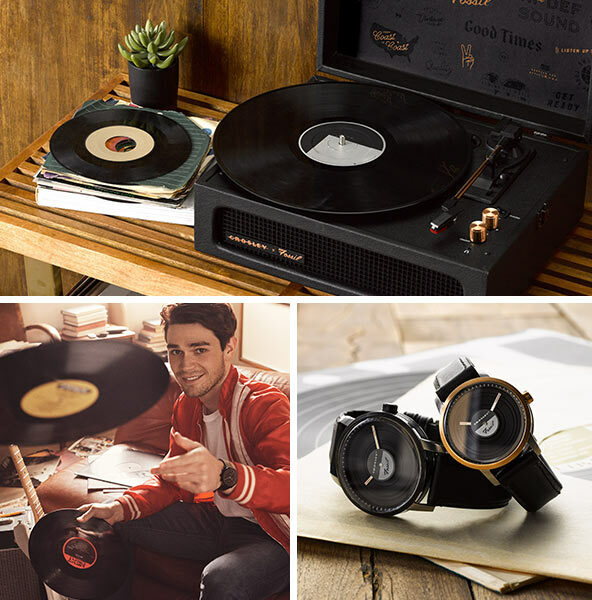 When it comes to amplifying style, Fossil hasn’t missed a beat thanks to its new partnership with iconic American brand, Crosley. The duo recently released vintage-inspired accessories that will bring music to your ears and wrists. 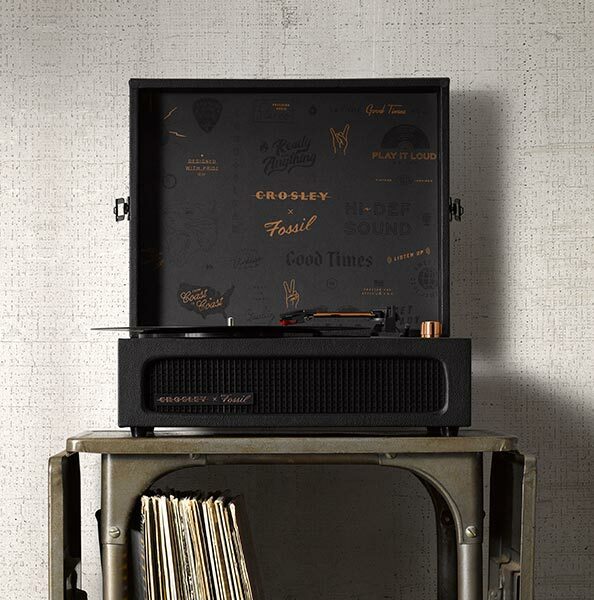 A pioneer of the vinyl and record player revival, Crosley launched its first turntable in 1992 and empowered a new generation of music lovers and vinyl enthusiasts. Blending the brands’ mutual passion for retro resurgence and appreciation for the power of music, the collaboration is a seamless addition to Fossil’s Curator Series—a collaborative collection fueled by a creative class of designers. Taking a new spin on an everyday watch, these limited edition timepieces resemble Crosley’s iconic turntables with grooved details and a spinning-disc second hand. The brand also co-designed a custom record player—complete with Bluetooth speakers—featuring one-of-a-kind novelty graphics. Get your groove on and check out our product in motion! Learn more about the partnership and the Curator Series here.